"So far, there is no thread for matters concerning the journal. Here you can post anything concerning our magazine, for past and future issues. This thread can also be used as a way to communicate with Mike our editor hoping that he visits the forum sometime. With the latest issue you have all received the re-print of a Russian Meccano catalogue. Although my russian is limited to tovaritch and vodka, I have tried to date this catalogue and found that it is either 1960, 61 or 62. Can you narrow this to a single year." General discussion then took place following the Post from Jacques, but in the course of those, a copy of some of the details of the Russian "catalogue" was not included to enable those who either missed the Journal itself that contained a reprint prepared by the HRCA in April 2014 or are new members of the association. 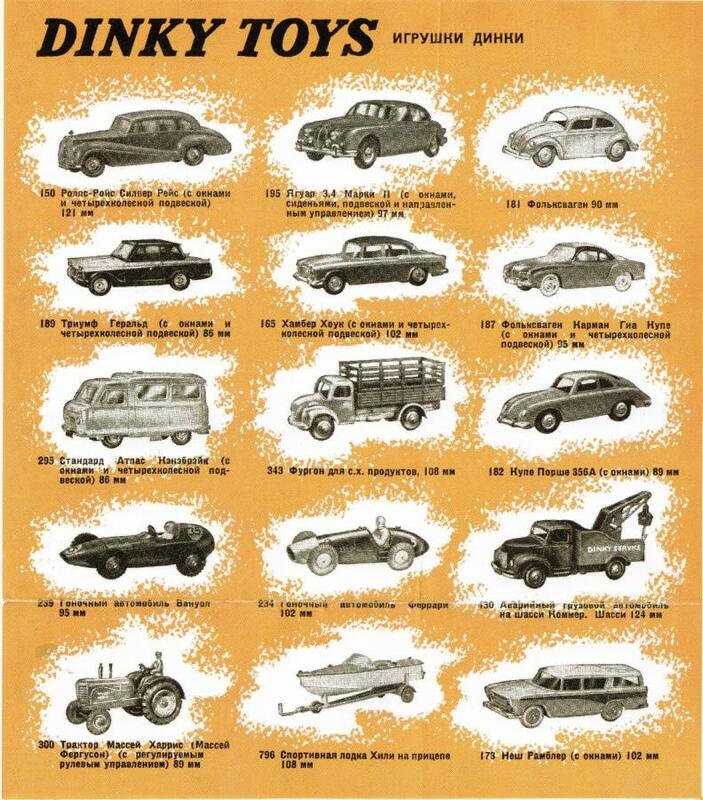 I am taking the liberty of reproducing two excerpts from this Meccano Pamphlet or Catalogue prepared in 1961 showing the Dinky Toys and Dinky Supertoys that were available within the USSR, although whether any were actually sold is another story. Instead of placing these comments and attachments within The Journal topic, I thought this would be the best place for it and I am open to any comments whether this Post should be here or somewhere else. Hello Bruce, this placing seems to be quite OK to me, but double placing is no problem either.